When you're closing on your new home, an escrow company is used to make certain the transaction will close appropriately and in a certain amount of time. A house is said to be in escrow when in the closing transaction, money is secured by a third party on behalf of two parties when the exchange of money takes place. An easy way to think of what an escrow company does is to think of how you might use PayPal for online purchases. 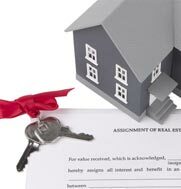 Clearing the final hurdles like obtaining funds, completing forms, obtaining the documents for loans and liens, and assuring you get a spotless title to the property before your purchase gets finalized are all part of the job of the escrow agent. Don't let the unknown scare you from becoming a homeowner. I can help you work your way through the process. Contact me. Upon completion of all instructions of the escrow, closing can take place. At this time, all payments and dues for inspections, title insurance and real estate commissions are paid out. The home's title goes to you and title insurance begins per the steps of your individual escrow agreement. When closing is finished, you'll submit a payment to the escrow holder. You'll know when it's time to submit the form of payment. This is a quick run-down of the escrow process. Your individual process could vary depending on your lender and your escrow company.